Is 2018 the year you want to eat healthier, but don’t want to give up your Amish Friendship Bread? Me too! I’m making 2018 the year of healthier Amish Friendship Bread options. This means more recipes with less oil, less eggs and less sugar, as well as a host of gluten-free and dairy-free options. You shouldn’t have to give up flavor and a love for Amish Friendship Bread because you’re trying to eat better, right? 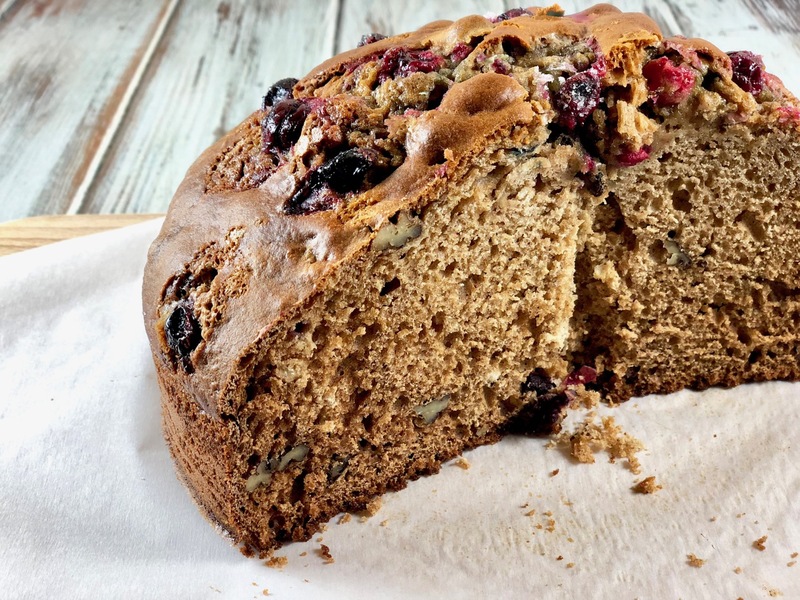 This Pumpkin Cranberry Walnut cake is oil-free. I loved the way it turned out but if you want to boost the moisture, add one packet of pumpkin spice instant pudding, or ½ cup oil or softened butter. Eating healthier means moderate adjustments to your favorite recipes, so figure out what works best for you. 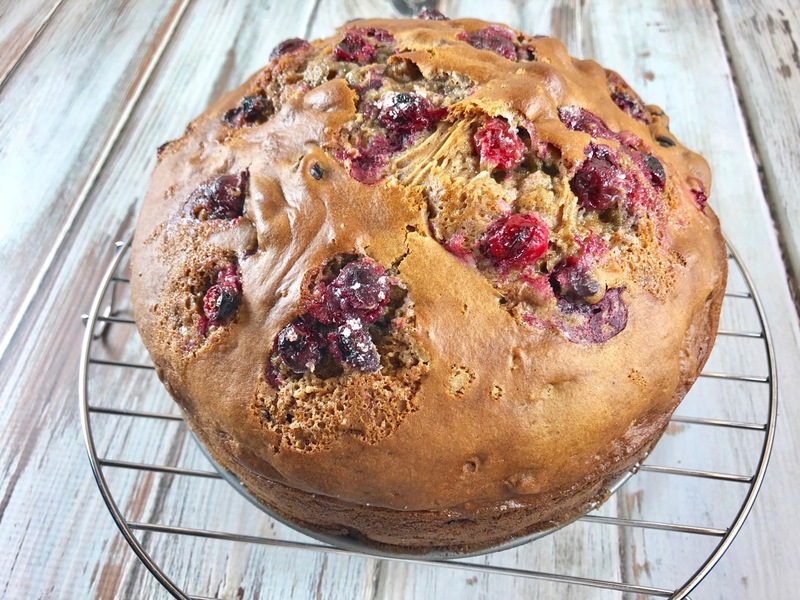 I want you to feel good about baking Amish Friendship Bread and sharing the recipe with others! I usually keep my starter in this 72-ounce Bormioli Rocco Fido Square Jar, but lots of people prefer storing their starter in mixing bowls. This past month I had a lot of starters going on, so in addition to my jar I had several mixing bowls, too. 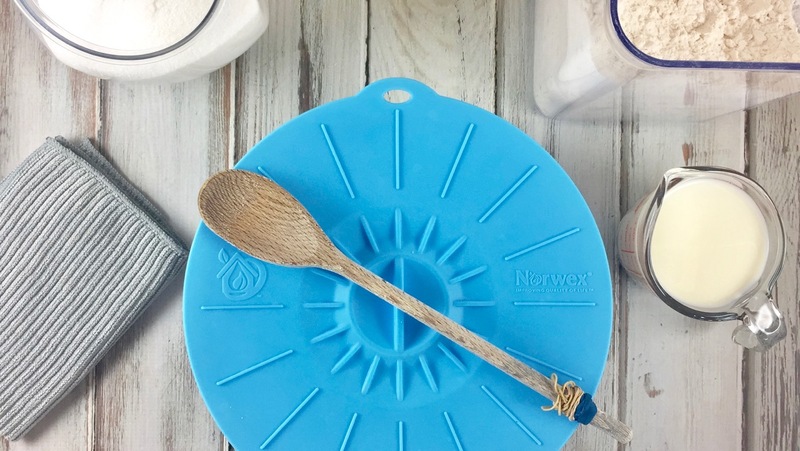 Instead of covering it with plastic wrap, I used this 100% food-grade silicone lid (BPA free, of course), which kept a seal just by placing it on top of my bowl. My dish cloths are also made from the same amazing microfiber and I have every color under the sun (slate is shown in the picture below). It’s fast and easy to mix this recipe up. I was worried that it would be too dry, but my oil-adverse husband thought it was perfect. It tasted even better the next day–just pop it in the toaster oven. Enjoy! Looking to cut back the oil in your Amish Friendship Bread? 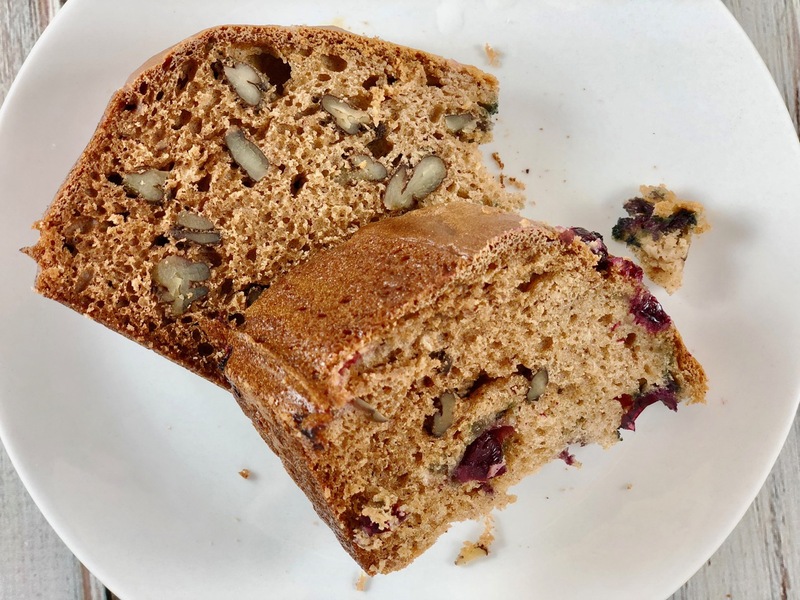 Try our Oil-Free Pumpkin Cranberry Amish Friendship Bread which combines sugared cranberries and pumpkin puree for a healthier Amish Friendship Bread option! 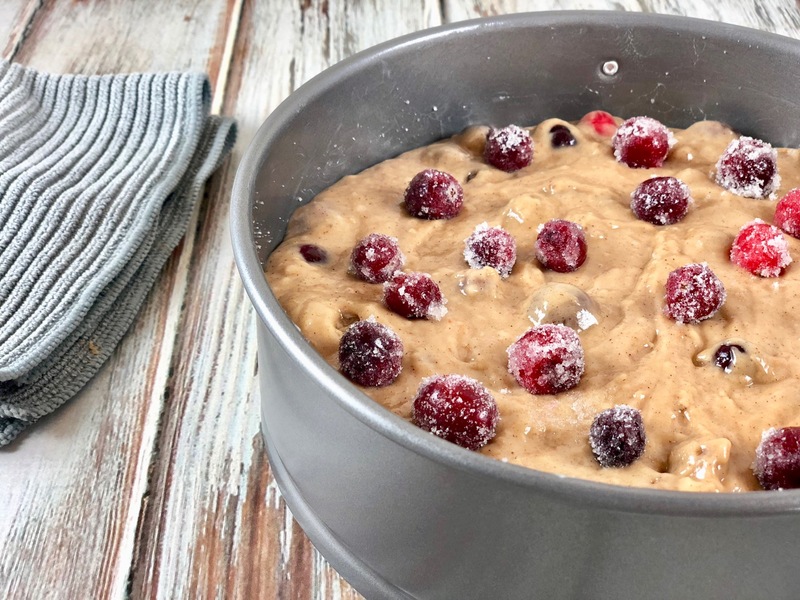 In a large mixing bowl, add ingredients as listed, reserving half of the candied cranberries. Grease one large cake pan. Bake for one hour to 70 minutes or until the bread loosens evenly from the sides and a toothpick inserted in the center of the bread comes out clean. If using fresh cranberries, pat semi-dry and toss in sugar. If using dried cranberries, reconstitute in ½ cup warm water--no need to toss in sugar. My first batch of friendship bread is ready and this is going to be the first recipe I’ll make. Looks delicious! Cranberry pumpkin is in the oven!!! My loaf is just going in now. I take a few of the recipes as more of a base and change up the ingredients – maybe the fruit, use Lily’s sugar free chocolate chips, switching out flavors (I LOVE lavender). Possibilities are endless. https://www.friendshipbreadkitchen.com/banana-nut-afb/ This is the link to your banana nut bread. How can this be made healthier? I love the triple chocolate coconut bread but wanted to make it with less oil. So I followed the WeightWatchers recipe and used 1/3 cup of oil instead of 1 cup. Now, how can I make it with less sugar? 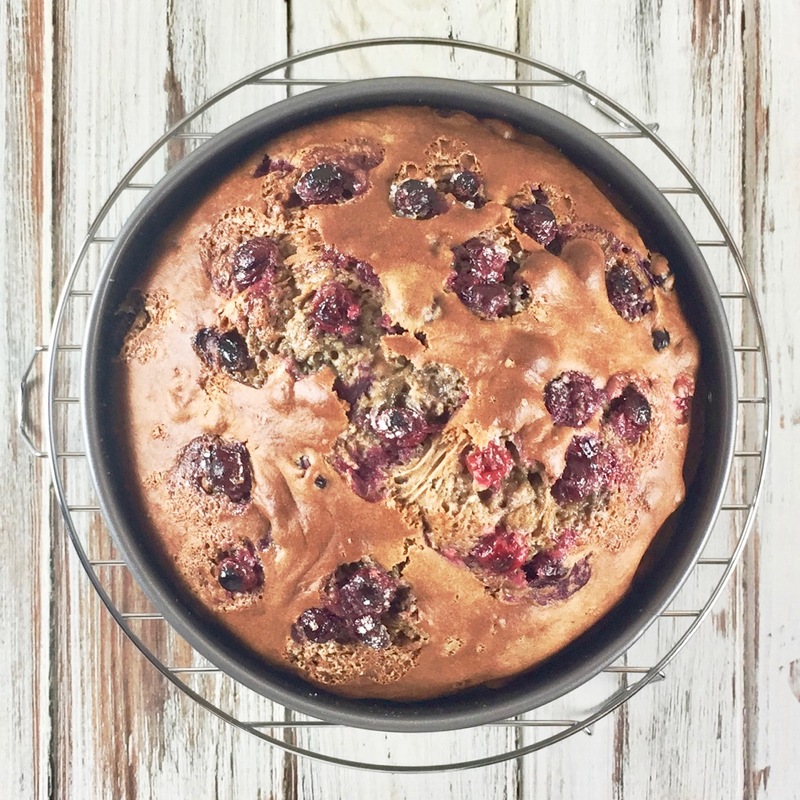 Always looking for ways to bake in a more heart healthy way! I already reduce sugar by half, use half white whole wheat, and substitute pumpkin for half of the oil, but would love to see your version! I’d like to see what you could do for this recipe. 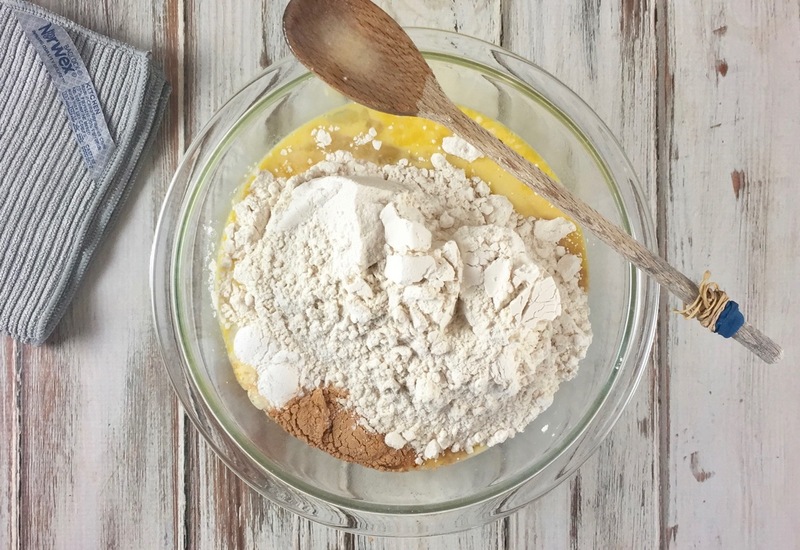 I would like to know how to make the Banana Vanilla Chai Coffee Cake healthier, thanks! I would love the Amish Friendship Bread Popovers. The sticky buns look amazing, but use a lot of sugar. Wondering for there are any alternatives. Thanks!! I would love to make healthier Amish Friendship Bread cinnamon rolls! this zucchini chocolate chip afb is great but high fat and sugar, what can be don to make less fat and sugar but still taste great? Is something missing from the recipe? Pumpkin pie spice does not make it a Pumpkin loaf. The description say pumpkin puree but there is none listed in the recipe. How much should I use? To make the starter gluten free do I just use my all purpose GF flour? I remember doing this about 50 years ago when my kids were young. Now that I’m kid free again, I want to give it a try. Just sent two grandsons (17 & 18) that were living with me off to college. Sure is quiet around here.